Soldotna is a small modern town that was established in 1947 after World War II when veterans were given incentives to set up homesteads. It lies in a picturesque valley on the Kenai Peninsula bordering portions of the famed Kenai National Wildlife Refuge, a nearly two million acre home to moose, caribou, brown and black bear, wolves, Dall sheep, mountain goats, eagles, swans, ducks and geese. 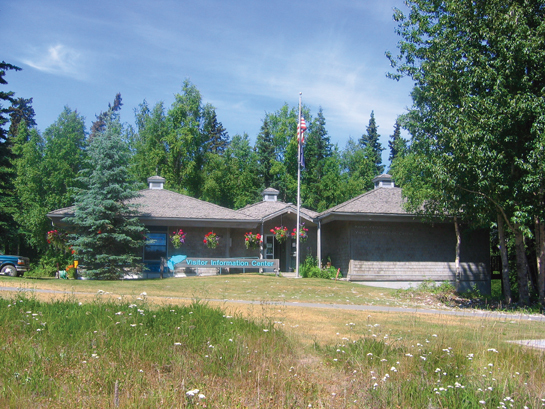 The Refuge Visitor Center is located at 1 Ski Hill Road in Soldotna. Travelers from Anchorage are treated to a panoramic drive of 110 miles passing through rugged narrow valleys and alongside turquoise colored lakes and rivers. These peaceful lakes and placid rivers offer some of the finest fishing anywhere. 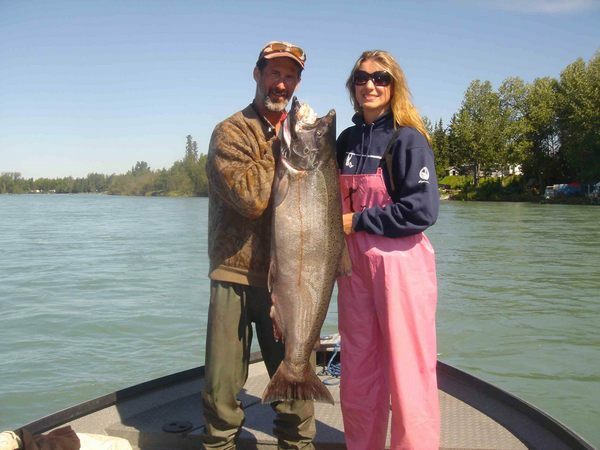 The world famous Kenai River offers excellent salmon fishing for coho and sockeye. Kings weighing over ninety pounds have been caught here, although the past few years have seen a notable reduction in returning numbers. Everything you need in the way of gear and guide services can be obtained in the Soldotna area. Jumbo rainbow trout reaching double-digit sizes also call the Kenai River home and will tempt and tease anglers into the Alaskan night of never-ending sunshine. These fish are catch and release only but still provide top-notch fun. Coho (silver) fishing is great too, from August through September. Other outdoor pursuits are a natural for people who live in and visit Soldotna. Camping, hiking, float trips, berry picking, digging razor clams on nearby beaches, skiing, hunting, taking a conducted tour, flightseeing from small aircraft, watching the beluga whales in Cook Inlet or witnessing the stopover of thousands of snow geese on their northern migration in April are activities for every taste and level of ability. 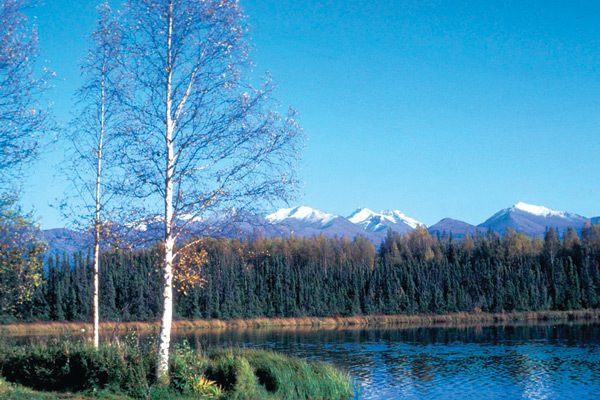 The canoe system on the Kenai National Wildlife Range offers great opportunities to explore. There is excellent fishing for rainbow, arctic char and land-locked salmon, magnificent scenery and opportunities for photographing abundant wildlife. Dog sled races are a popular wintertime sporting event. In February, the Peninsula Winter Games are held in the communities of Soldotna and Kenai. Dog sled races, broom hockey, ice sculpting and snow machine races are a few of the events that comprise this winter carnival. July’s big event is the annual Soldotna Progress Days celebration, which occurs during the fourth weekend of the month. Activities include a parade, rodeo, car show, community barbecue/dance, arts and crafts show and the popular chainsaw carving competition Sawfest. The Soldotna Visitor Information Center, located downtown on the Sterling Highway south of the Kenai River bridge, boasts a world-class photo display of the Peninsula. Wildlife mounts and the world-record 97-pound King salmon are also on display. 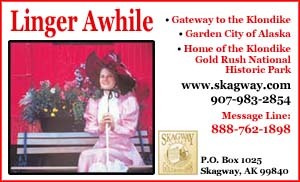 Brochures, maps and information on the community and area special events are available. Visitors can stroll along the Kenai on their 250-foot Classic Fishwalk, an elevated boardwalk accessed down a set of stairs beside the Center. Along the stairs, information on the river, salmon and the environment is posted at each of the landings. At the bottom there are benches to sit and enjoy the sights and sounds of the river as it journeys from its glacial beginnings to the waters of Cook Inlet. Along the fishwalk you are welcome to throw a hook in the river’s chilly waters. The Soldotna Historical Society Museum features a wildlife museum and historic log village, including the last territorial school built in 1958 where students studied by the light of gas lanterns, and the “habitable dwellings” where Soldotna’s founding settlers lived in 1947. Damon Hall, a large building used for the Alaska Centennial, features wildlife mounts with a background display and mural of their native habitat. From Soldotna, you can experience the Alaskan wilderness through flight charter trips. Talon Air is a full service air charter out of Soldotna providing transportation into remote regions anywhere in the state. Whether you want to view the Alaskan brown bears in Katmai National Park, do some fly-in prospecting, geological or environmental surveys, haul supplies to remote camps or try some drop-off fishing and camping, they make all the arrangements. Call Talon Air at (907) 262-8899. If you want it all—campsites, the river and the city of Soldotna—Centennial Park is the place for you. Add nearby rodeo grounds, ball fields, Visitor Information Center and the Soldotna Historical Museum within easy walking distance and you’ll find yourself in the midst of some of the best that the Kenai has to offer. Centennial Park has more than 650 feet of elevated boardwalk and 13 sets of river-access stair units, as well as two boat launches to allow you to get your boat on the water. 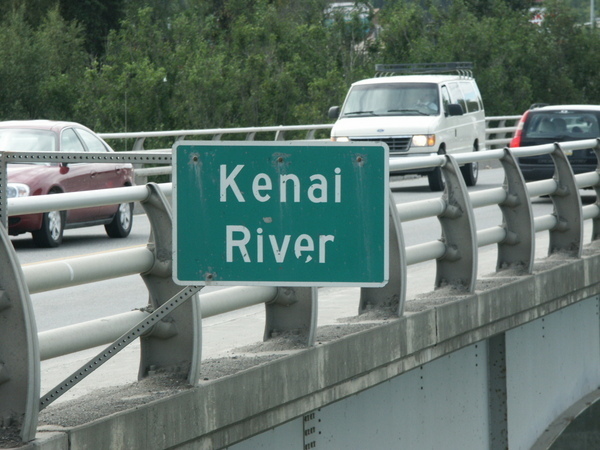 This area offers some of the best red and silver salmon fishing on the entire Kenai River. This is a user-fee area and fees can be paid at the park booth or at the Soldotna Visitor Information Center.